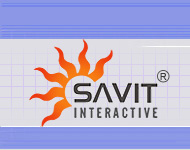 Savit Interactive understands the client requirements, and in our endeavor to serve our client we also provide Domain Registration and Web Hosting services. With us you only have to deal with a single vendor who can offer you the latest technology at the most competitive price in the industry. Our websites are hosted on Windows 2000 servers with Dual Zeon Processors. These state of art servers are best as per current configurations. All our hosting on these servers comes with free POP accounts with catch-all email facilities. These and many such other facilities help us to create a competitive advantage over our competitors. We also provide our customers with Linux server hosting if they so desire.